Errakal was founded in 2010 as an independent specialist in the fields of calibration and industrial services, such as engineering, asset management and maintenance of measuring systems. The company strength lies in in-house knowledge on flow applications so Errakal can very well support you to choose the best flow measuring principle, the proper installation and the calibration / maintenance method. For that Errakal owns the former flow laboratories of DSM starting in the late seventies, consisting of several liquid rigs and a gas rig at the Chemelot site, Geleen, The Netherlands. 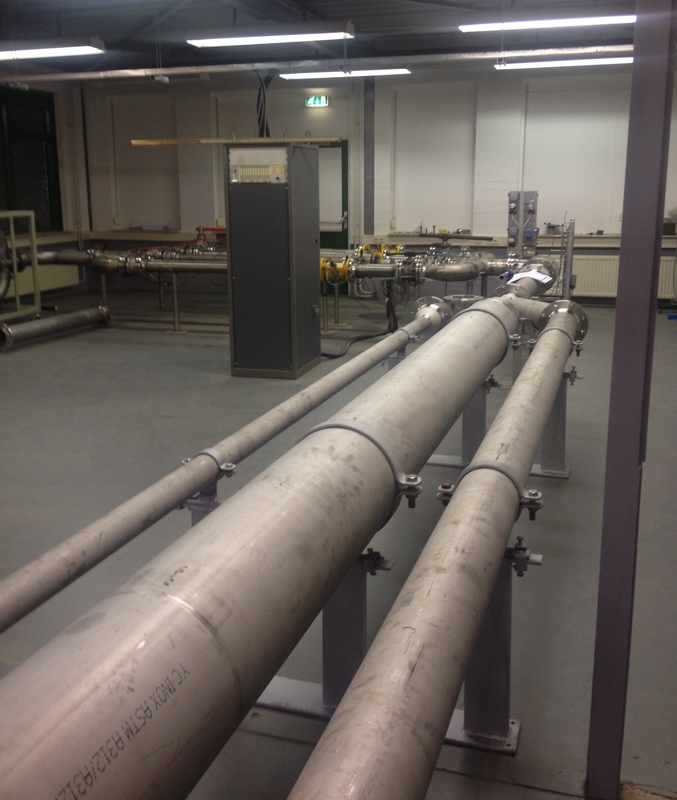 The rigs can be used for flow calibrations and flow-related investigations (flowfacilities for air (atm. til 6 bara) and (demi-)water (20 til 70 degrees Celsius)). Errakal's wide range of flow facilities can also be used for the calibration of your steam measurements and of other media for which no straightforward calibration facility is available. In addition, Errakal has facilities for the calibration of pressure, temperature, electrical and high-voltage equipment. Since 2015 we are rebuilding/revamping our facilities at a new location at the Chemelot Industrial Site to fully create the Errakal Calibration Center. The company core consists of 5 employees who can jointly apply the know-how available for relations when carrying out orders worldwide. All calibration facilities are related to national and international standards. Errakal has also obtained the NEN-EN-ISO 9001:2015 management system quality certificate. At the moment we are working up to a CMC certification. - Calibration services all over the world especially for flow metering. - Consultancy on metering solutions and integrity studies. - Instrumentation management and maintenance. - Research on metering solutions. - Calibration of all flow metering instruments. - Flow calibration of instruments in steam applictions and other specialties. - Consultancy: Instrumentation Management, Maintenance Management and Asset Management.